Earlier this week, we launched our new intensive Atlantic Grey Seals Photography Workshops for November 2017, the first set of dates that we launched filled quickly, the second now only has one place remaining available. 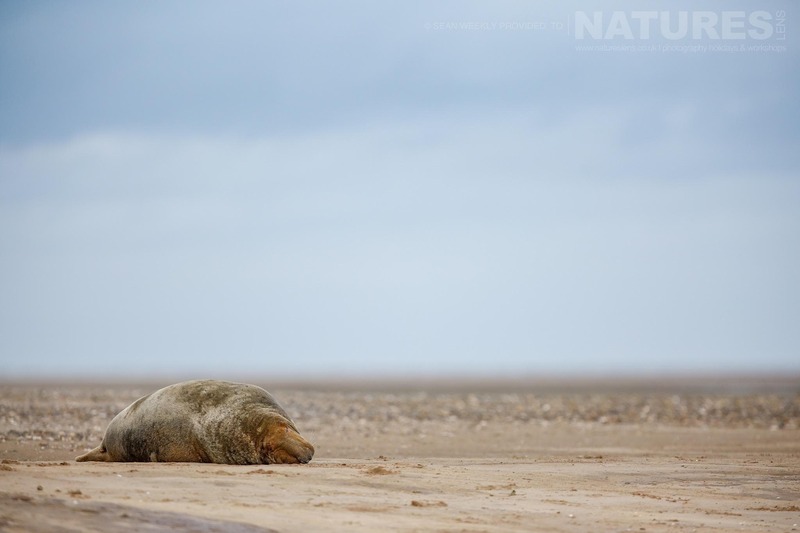 You can join Sean Weekly, who is leading this workshop for us for 6 days & venture to the coastal region of Lincolnshire, photographing the impressive Atlantic grey seal within this bleak & dramatic landscape. You will stay in a hired cottage, which will provide you with comfort & convenience so that you can focus on obtaining photographs that you will cherish for years to come. You will benefit from private access to a secluded beach, which is used by the seals, which provides excellent viewpoints from which to capture them on camera as they rest & interact with one another. There will be two main photography sessions per day; one early session as the sun comes up & the second taking place in the late afternoon & evening as the sun goes down, both giving you the chance to make the most of varied lighting & tidal conditions with your photography. Our unique & private accommodation provides the opportunity for an ethical approach to photographing the Atlantic grey seal colonies without compromising the welfare of these iconic mammals. Our intensive Atlantic Grey Seals Photography Workshop includes 6 nights accommodation in a gorgeous cottage on a dinner, bed & breakfast basis, your meals will be warming, homely & plentiful to get you warmed through & filled up after a long day on the beach. Numbers are limited to ensure that the trip is sustainable, ethical & enjoyable for every photographer, so make sure you book early to avoid disappointment! North Lincolnshire is well known for being of the most important locations for the Atlantic Grey Seals in the United Kingdom & it is easy to see why.The bleak & often harsh coastal landscape enables images to be captured in different conditions & lighting, our 6 night intensive photography workshop in the midst the territory of these impressive animals provides an abundance of opportunities. With tony one place remaining available, our Atlantic Grey Seals of Lincolnshire Photography Holiday costs £899 exc travel to North Lincolnshire & lunches – all transportation, breakfast & dinner, accommodation & tuition is included, the only remaining available date is November 11 – 17, 2017. This entry was posted in announcements, workshops and tagged england, lincolnshire, seal, seal pup, workshop. Whatever your query regarding our photography holiday, One place available on our Seal, please fill out your details below & we will get back to you.